Warning: Doing this program correcly may lead to severe sleeve-stretching. 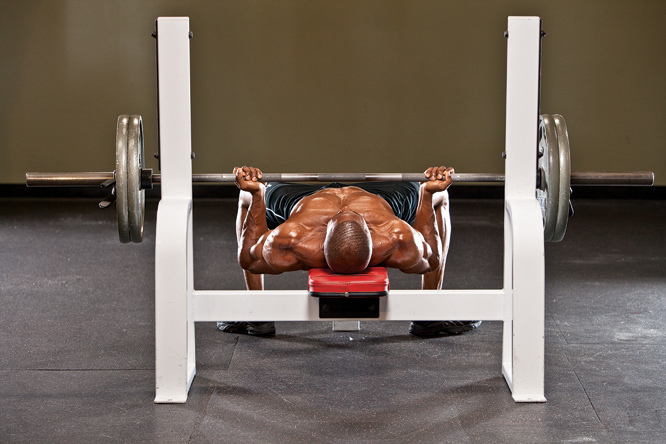 When your arms need a boost, increasing your training volume can work wonders. The sleeve-stretching program we’re offering here does just that, using basic exercises to increase the amount of work you’re doing with both your biceps and triceps, and shocking your muscles into a mode of rapid growth. Make no mistake: This is a dedicated arm day workout for guys who aren’t happy with the size of their pipes. Perform it once a week, then let your arms rest and watch them expand.